You’re a cafe, commercial roaster, grocery store, fair trade retailer, chocolate (bean-to-bar) maker, or nonprofit in search of exceptional, wholesale Haitian goods. your barista looking for a new toy? You’re welcome. Register for a wholesale account and order our cafe sample pack: 2 bags of rich, gourmet Haitian coffee. You’ll find #haitiancoffee is the perfect addition to your lineup. Contact us to create a wholesale account. Commercial Roaster: we sell green Haitian coffee in 60 kg / 132 pound sacks. Haitian green is an exceptional Caribbean classic. We’re thrilled when another person tells us “You’re better than Jamaican blue.” Order our 5 sample roaster’s pack. than gourmet coffee & chocolate, we work shoulder-to-shoulder with Haitian artists to make commercially viable products. Our wholesale art from Haiti will make your walls and shelves sing. Low minimum requirement, flat $20 ship, receive in-stock items in about a week. Register an account today. Proud member of the Fair Trade Federation. 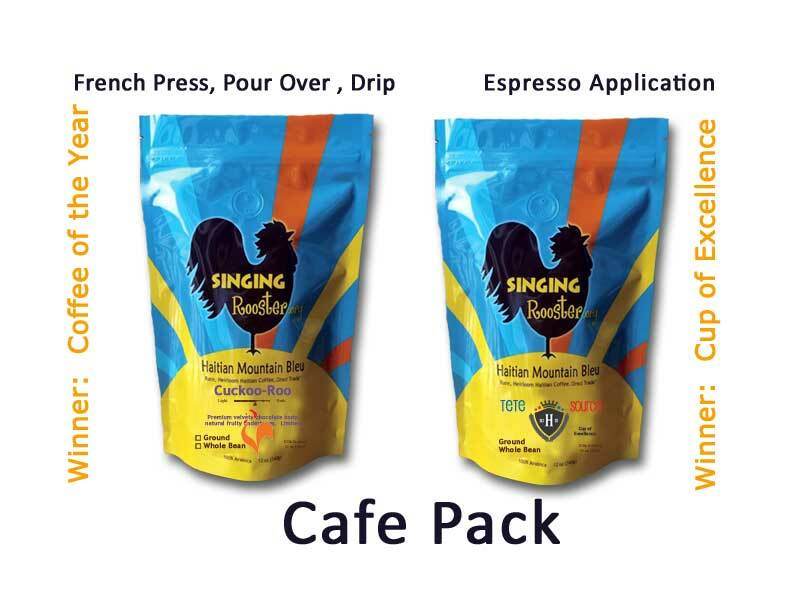 #singingroostercoffee Contact us to create a wholesale account. 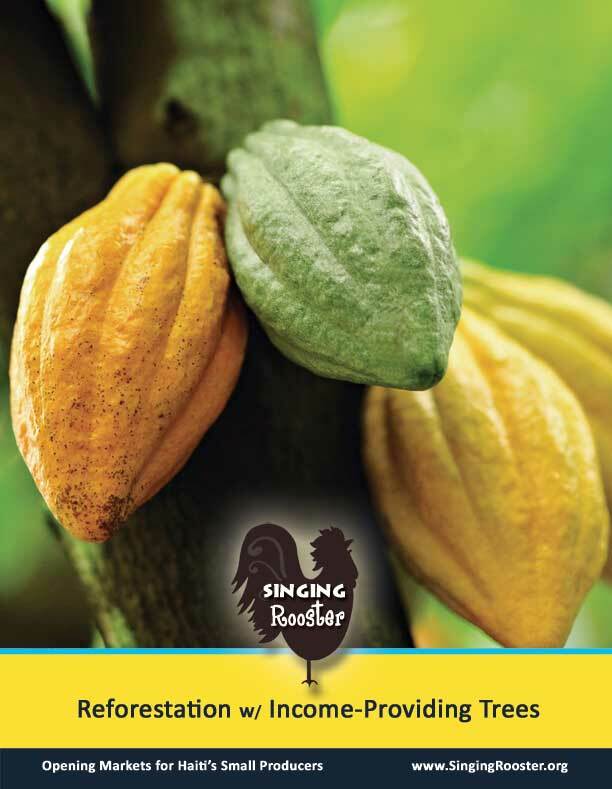 Chocolate (bean-to-bar) maker: Haitian cacao has nutty, licorice, and fruity flavors. We produce our own chocolate bar line and have trouble keeping it in stock; we wish the same problem for you. Learn more about these beautiful beans, then buy a sample of our certified organic & Fair Trade Haitian raw cacao. Have a facility on the ground in Haiti? (guesthouse, boutique, clinic, office) We wholesale Haitian coffee in Haiti too.